Home InDepth Op-Eds Why Does AIPAC Still Support Palestine? Either AIPAC (American Israel Public Affairs Committee) didn’t get the memo on the Trump administration’s shift in policy for Israel and the non-existant Palestine or it simply doesn’t care. This sort of line would be understandable during the Obama administration, when Israel’s rightwing government had to pay lip service to the two-state solution, but now with Trump’s moves in the region, other alternatives have been acknowledged to be on the table. So why is Howard Kohr stating this? His statements appear to be in contradiction to the shift in both the US government and Israel? Afterall, AIPAC only came out in support for Sharon’s Gush Katif evacuation after tremendous pressure from Sharon himself. AIPAC is only supposed to push for the stated interests of the people of Israel through its elected officials, not its own. 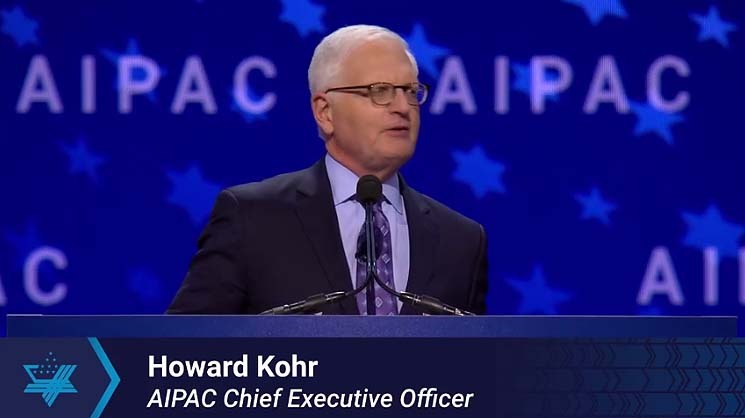 AIPAC has been headed by Howard Kohr since 1996. He has navigated various administrations and has been known to standup to various Presidents. In 2012 he seemingly took on Obama as noted by the Washington Post here. So why is he still toting the two-state line? Kohr himself is seemingly not the issue, but rather the outsized influence AIPAC’s board and delegates have. These people found themselves part of AIPAC at a time when both Democrats and Republicans saw eye to eye on Israel. The push for a two-state solution and rising support for “Palestine” among Jewish Democrats has in a sense forced Howard Kohr to somewhat moderate his positions. Ultimately, AIPAC itself is not what it used to be. More about tradition than anything else, AIPAC’s role has become secondary to the growing chemistry between Trump and Netanyahu as well as the direct influence of Christian Zionist leaders on individuals in congress. AIPAC’s board and delegates have been so used to the two-state paradigm, their ability to recognize its collapse has been subsequently diminished. What needs to happen now by nationalists in Israel is a serious reeducation process to help American supporters of Israel, especially Jewish Americans understand the alternative to the two-state solution before its inevitable collapse. Previous articleIs Gaza Under Siege?